AGUADILLA, Puerto Rico –U.S. 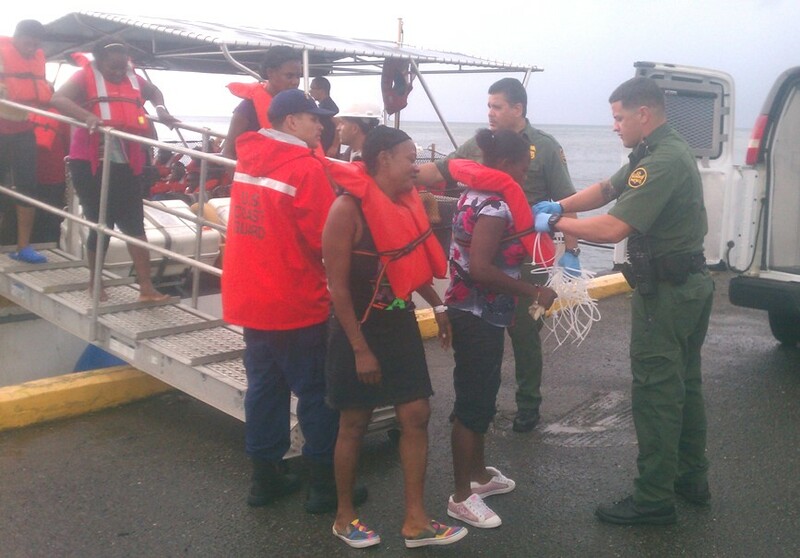 Border Patrol and Puerto Rico Police Department Joint Forces of Rapid Action (FURA) agents apprehended Thursday 7 aliens from the Dominican Republic that illegally landed in Domes Beach in Rincon, Puerto Rico. “Ramey Border Patrol agents work closely with Operation Stonegarden partners to be responsive to any smuggling incident,” stated Xavier Morales, Ramey Sector<https://www.cbp.gov/border-security/along-us-borders/border-patrol-sectors/ramey-sector-aguadilla-puerto-rico> Chief Patrol Agent in Aguadilla. A Unites States Coast Guard aircraft observed the vessel approximately four nautical miles west of Domes Beach contacting all Caribbean Border Interagency Group (CBIG) partners. Border Patrol and FURA agents conducted an extensive search of the area locating and arresting seven aliens that claimed to be Dominican Republic nationals (all adult males). All aliens will be processed for removal. Approximately twelve other suspected illegal aliens were able to avoid apprehension. With the Operation Stonegarden Grant Program<https://www.cbp.gov/newsroom/local-media-release/cbp-operation-stonegarden-partners-seize-340-pounds-cocaine-one-man> (OPSG) FURA and other law enforcement agencies in the island work with the U.S. Border Patrol in a joint mission to secure Puerto Rico’s coastal areas.